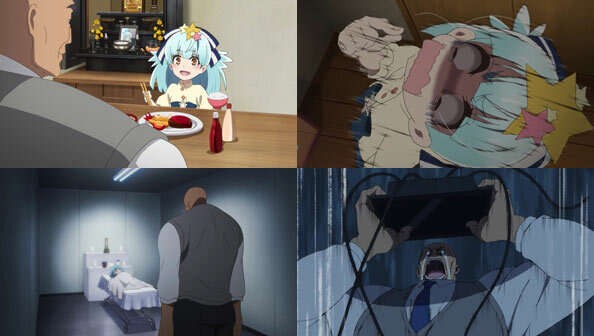 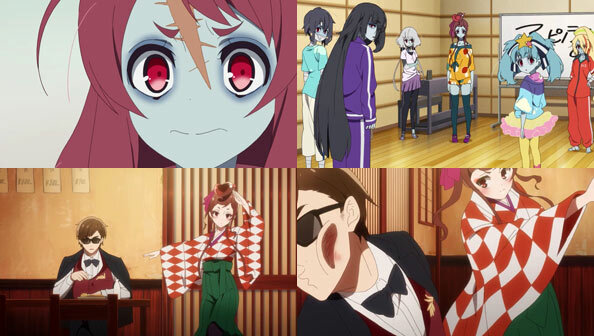 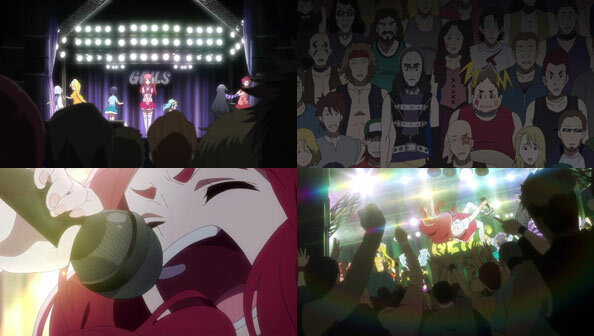 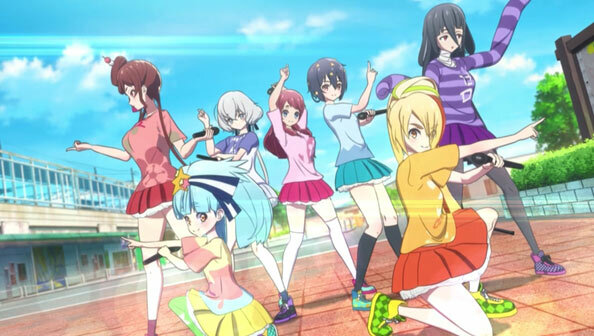 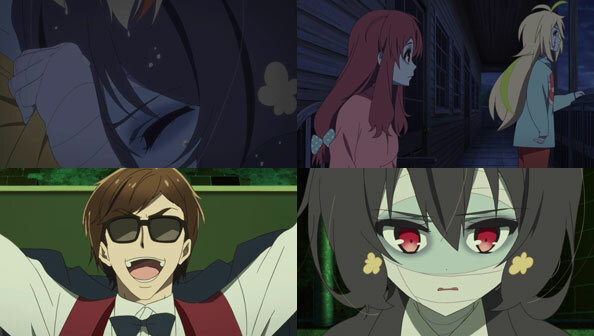 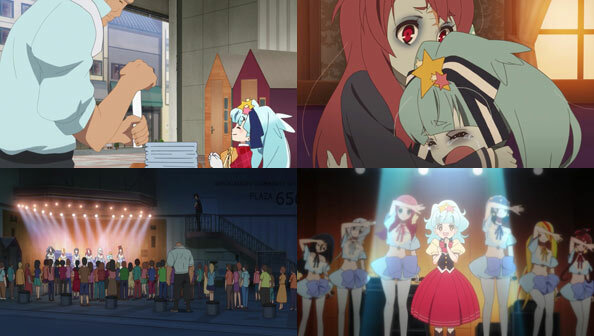 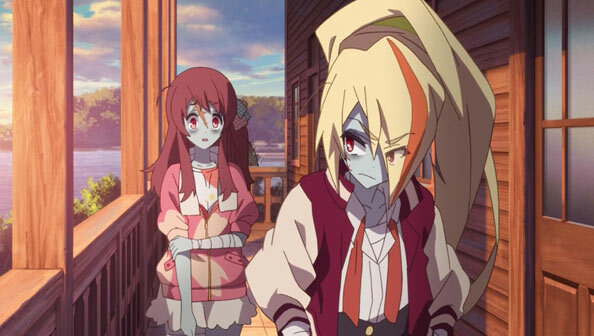 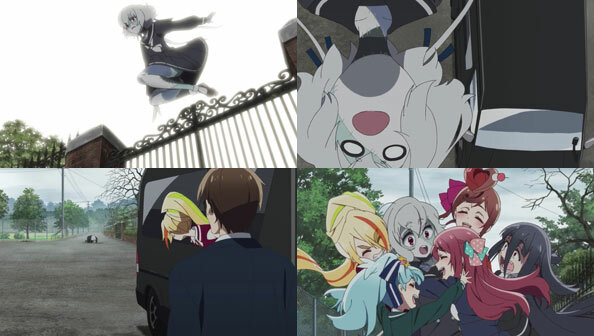 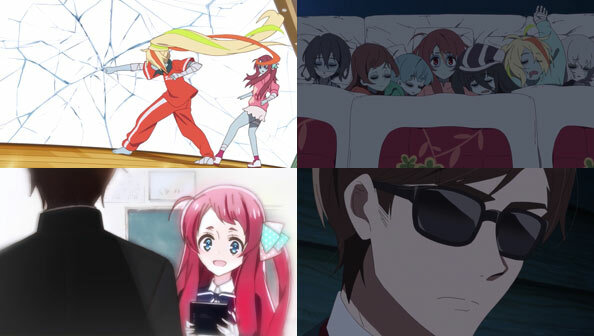 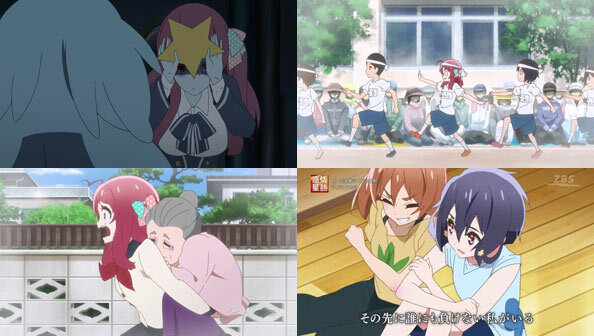 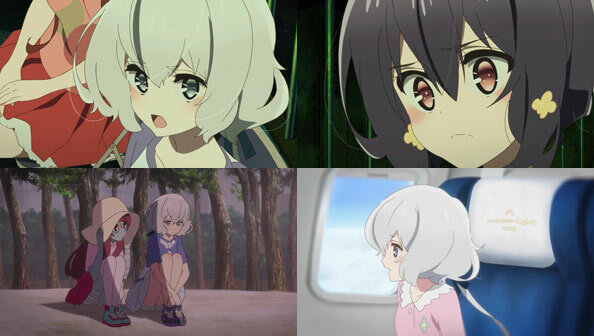 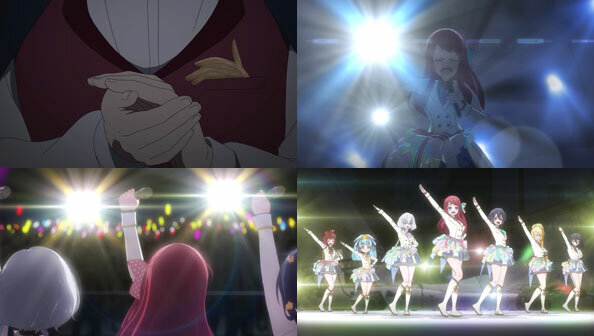 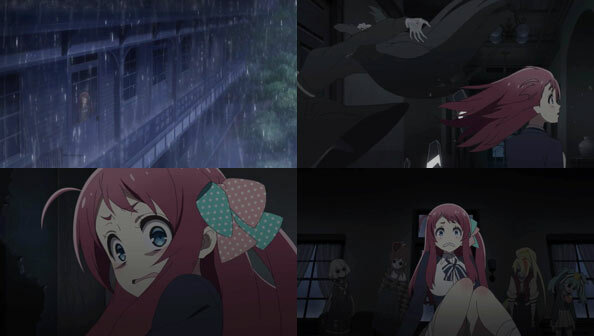 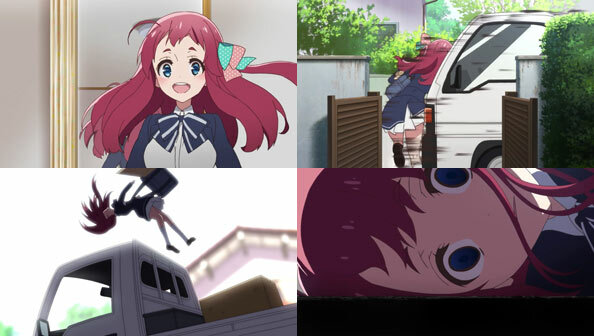 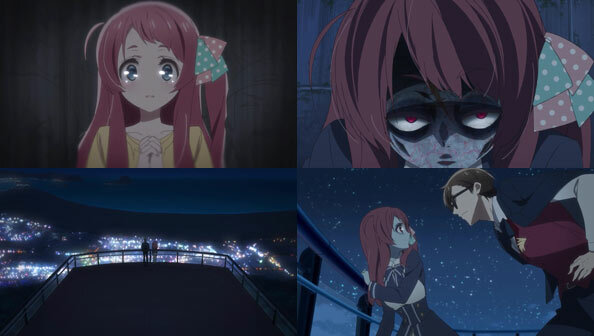 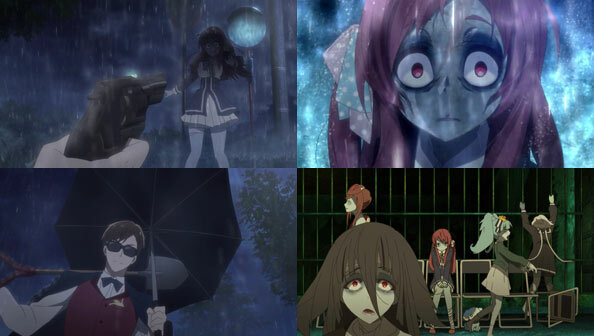 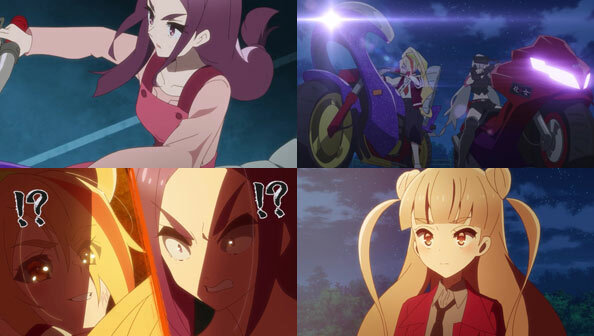 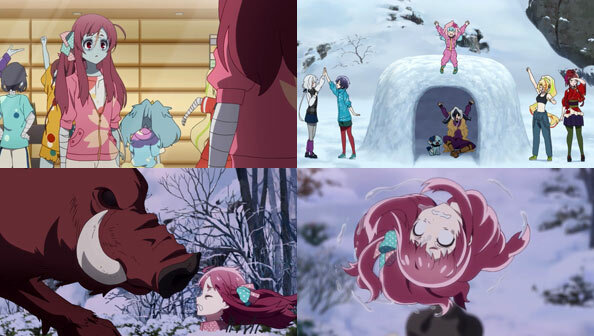 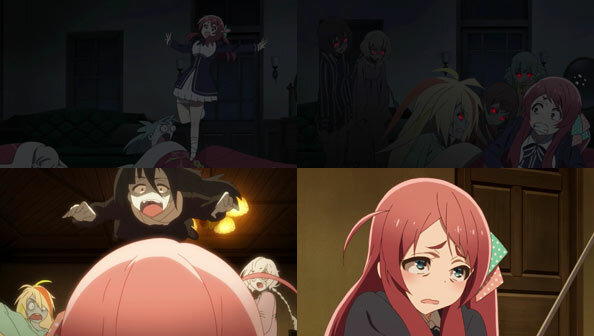 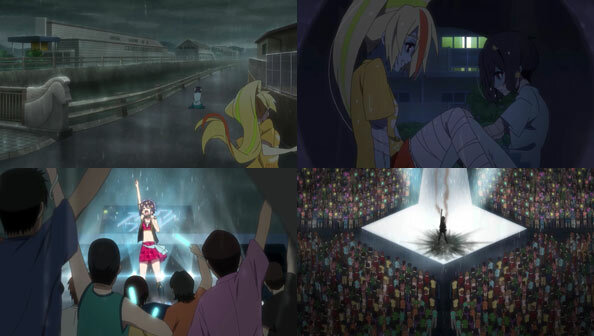 Zombieland Saga – 05 – Nice Bird! 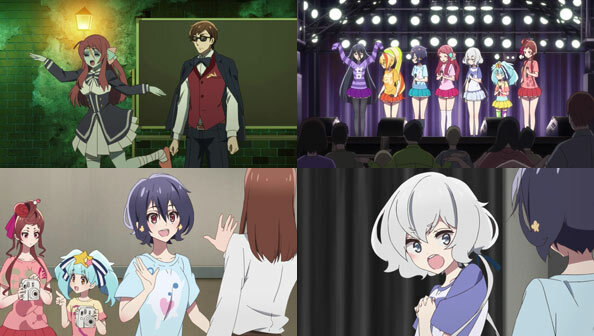 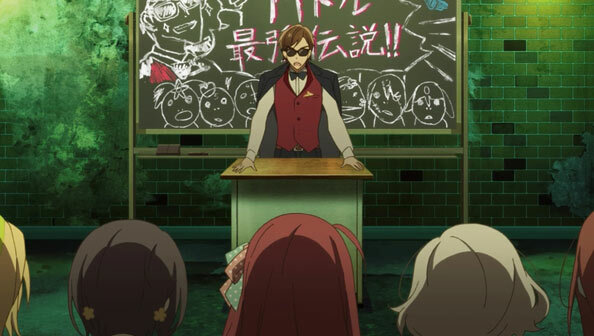 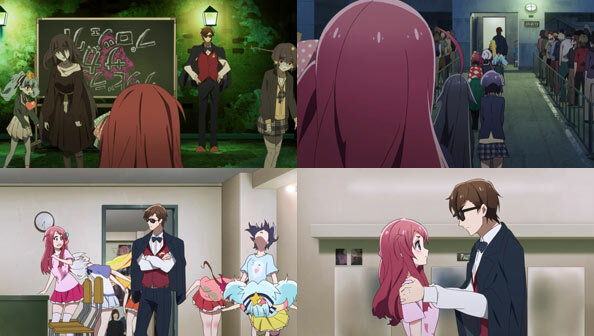 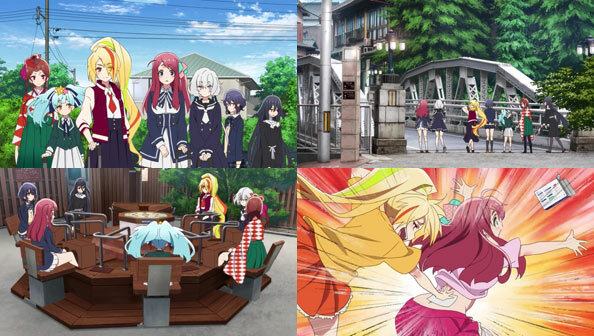 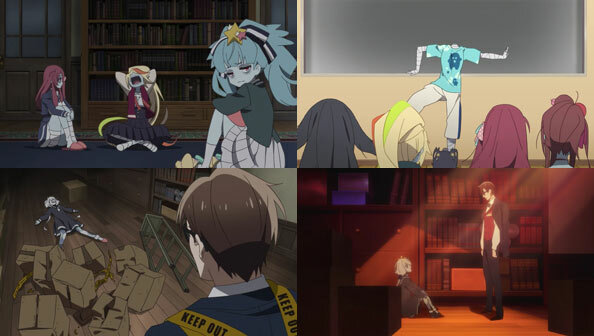 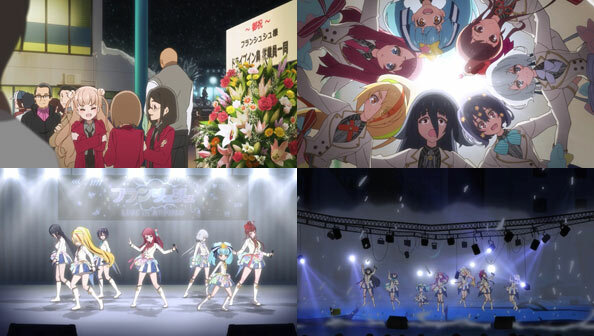 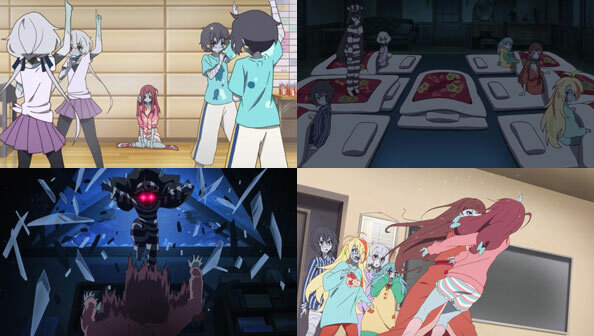 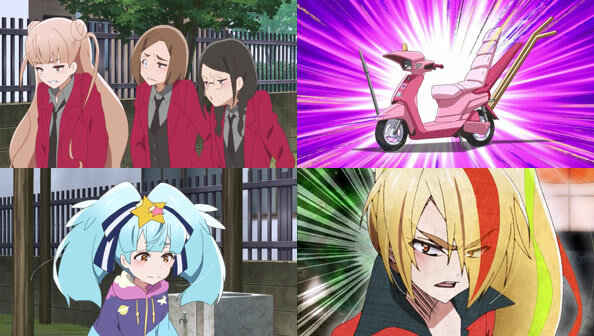 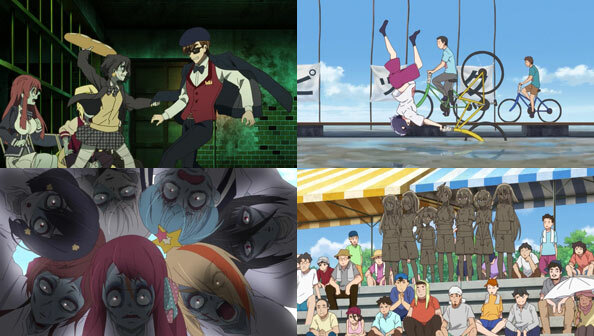 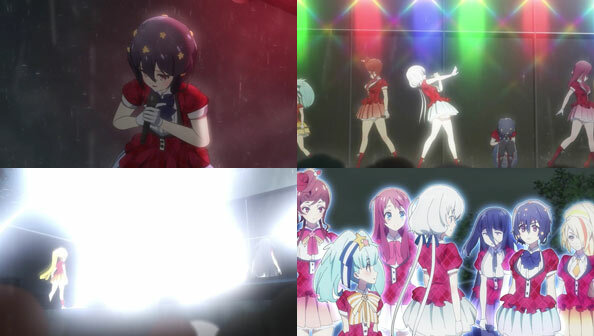 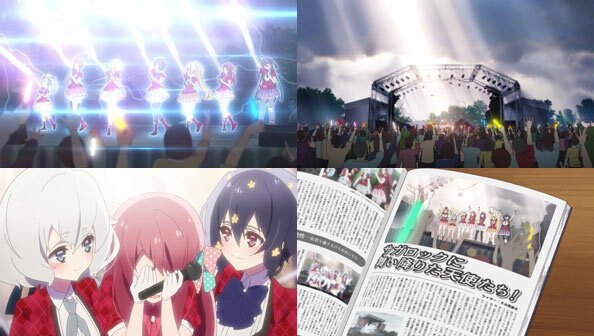 Considering the more controlled environment and larger potential audience reached, it’s a wonder Tatsumi didn’t arrange for Franchouchou to do a TV commercial sooner. 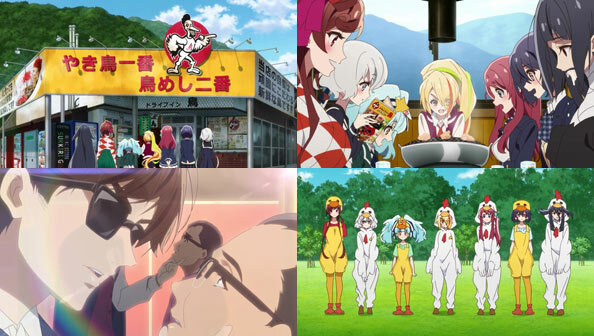 Their first such job brings them to a beloved old hangout of Saki’s, the chicken shack Drive Tori. 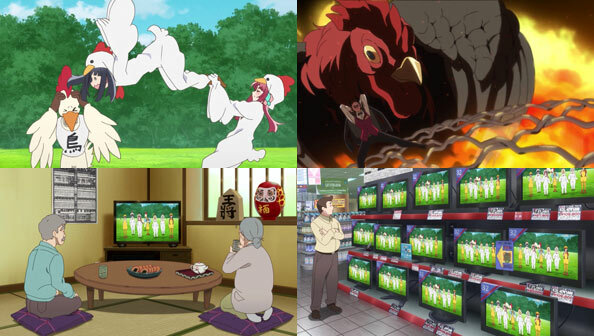 After they sample the admittedly excellent food, they get into their chicken costumes and it’s roll tape. 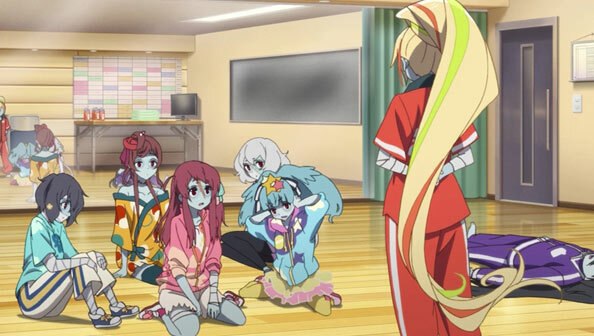 There are a few hiccups—Tae trying to eat the aloof official mascot Cocco-san, then marring the vocal performance with her groans. 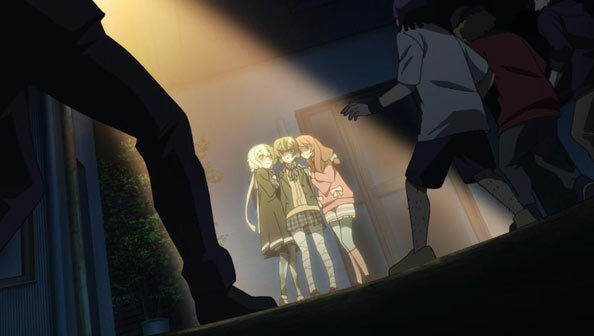 Even after a very good take, Tatsumi isn’t quite satisfied, and lets Tae run loose while the other girls chase her (and the cameras roll). 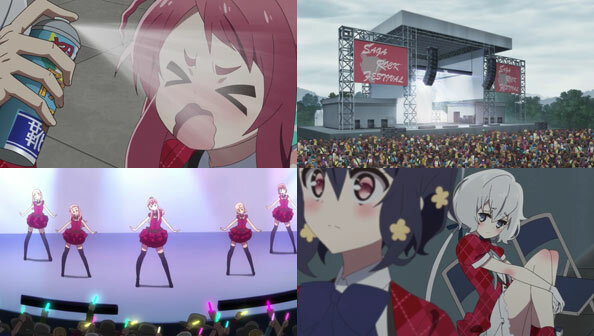 The result is a memorable and catchy commercial, but not cash; they only get paid in T-shirts, something they already have in abundance. 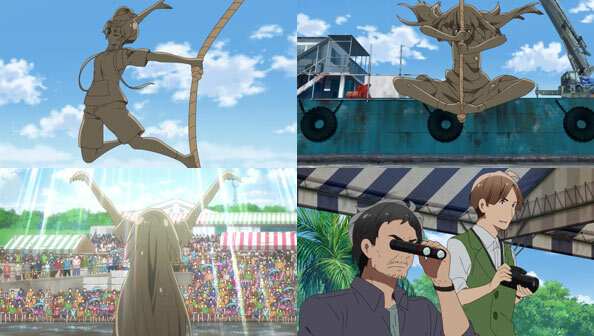 After annoying Ai to the point she snaps and hits him with a baguette, Tatsumi announces their next venture: the Gatalympics, an series of mud-based athletic games. 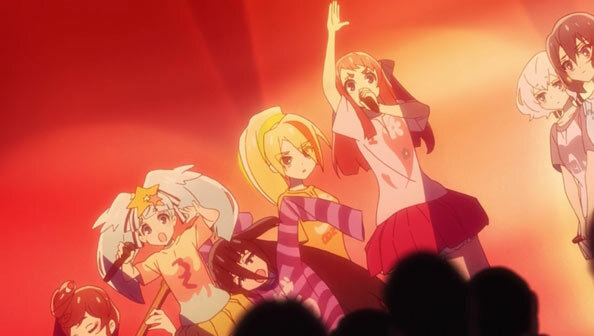 The girls don some truly awful T-shirts advertising their group, but when they get covered in mud, the advertising fails. 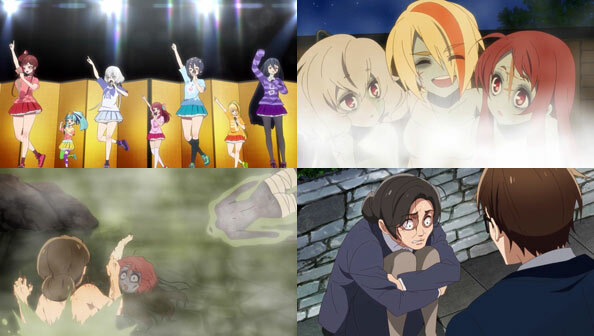 Worse, when they wash off the mud, the water takes away their human disguises, so back into the mud they go! 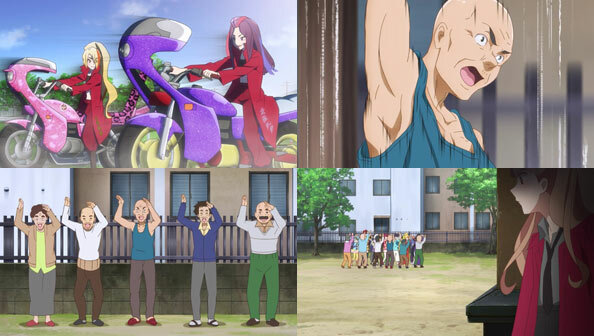 After Tatsumi himself wins the bike challenge, the girls each try and fail (in various hilarious ways) at the Tarzan rope challenge. 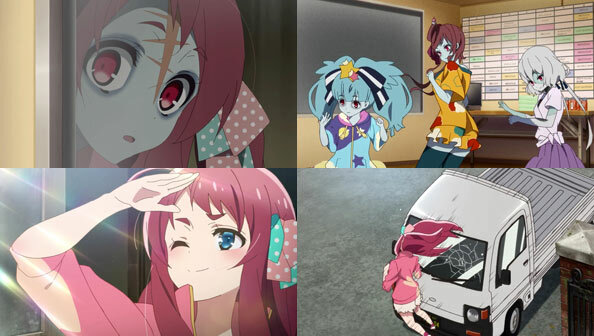 Yuugiri has plenty of style with her dancing background, and Lily gets almost enough distance for the podium, but it’s Tae who comes through in the clutch, getting first place with a truly epic distance. 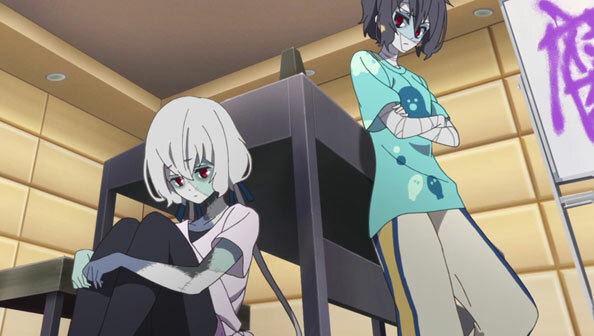 Unfortunately, she can’t speak, so the interview goes nowhere, and the T-shirt she ends up revealing is for Drive Tori, not Franchouchou. 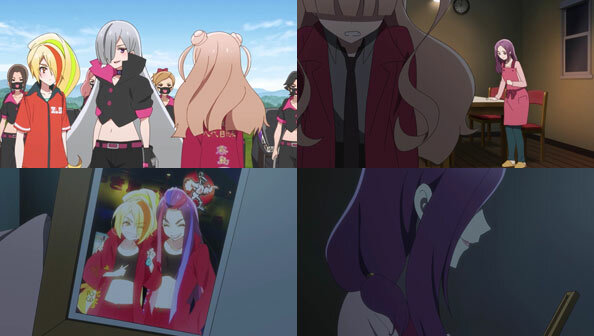 But it matters not; two guys who may well be past or present talent recruits have their eyes on the group, and it would seem that they recognize Junko, who, if they know her, they know she should be dead. 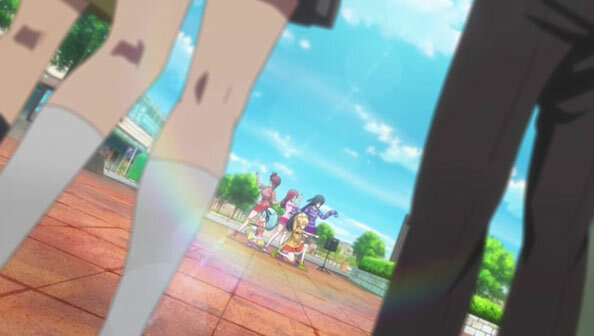 No doubt they’ll continue to observe and possibly confront the group…but to what end?